Fish is one of an item which is always a good main dish for us. And any time any kind of fish curry goes perfect with rice. 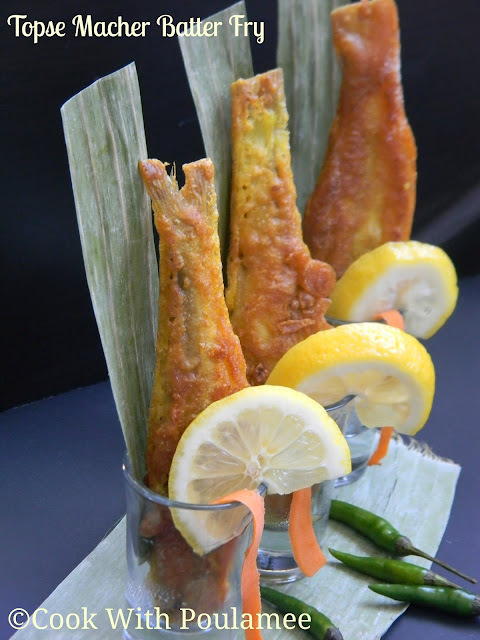 But some time a simple fried fish also makes your dinner or lunch complete. If it’s a matter of fried fish then I always love to have small fish. 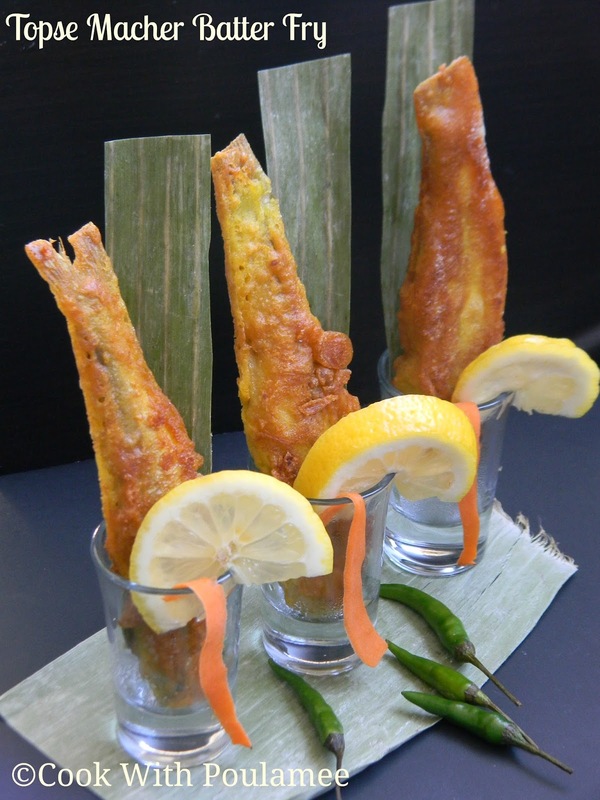 There are so many small fishes which we love to have fried rather than the curry. And among them one of my favorite fish is TOPSE FISH or MANGO FISH. 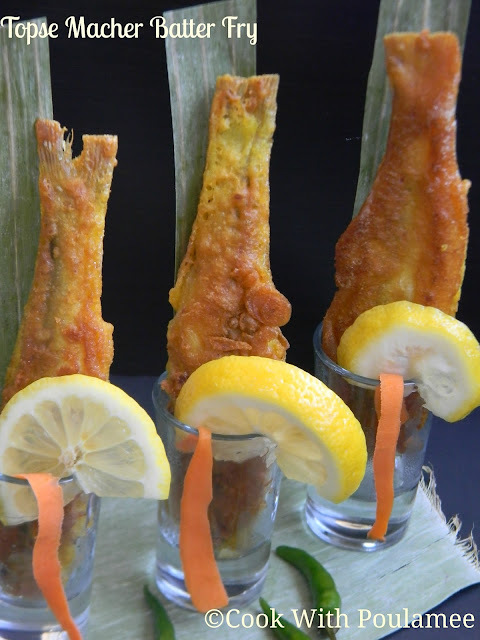 But this fish is usually fried with a thick batter and that’s the specialty of this fried fish. I learnt the recipe from my cousin sister she makes this TOPSE FRY in all special days because we all cousins love this. After a long search I got the fish from the Bangladeshi shop and I am more than happy. We had a wonderful lunch with this fried fish last Sunday. 1.Topse or Mango Fish: 6 medium size. 3.All-purpose flour: 2 table spoon. 4.Corn flour: 2 table spoon. 6.Ginger & Garlic Paste: 1 tea spoon. 7.Half tea spoon turmeric powder. 9.Pinch of red chili powder. 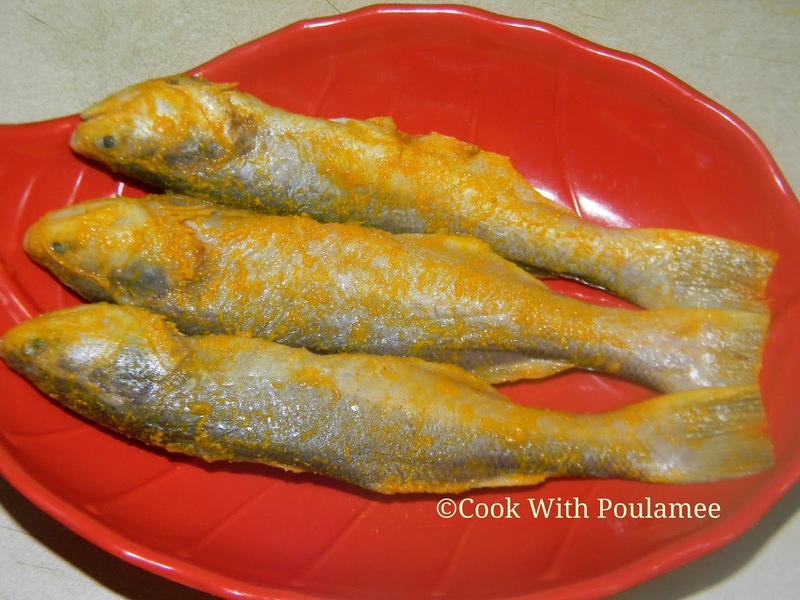 Wash and clean the fish pieces, now sprinkle some salt and turmeric powder on them and marinate the fish pieces. Now make a thick batter with flour, egg, corn flour, salt, baking soda, ginger garlic paste, green chili paste, some turmeric powder and red chili powder. Now add some oil in a karai, now take one fish and dip the fish into the batter and deep fry them in medium heat till both the side fried properly. Now soak the extra oil in a paper towel. Repeat the same with all the fishes. 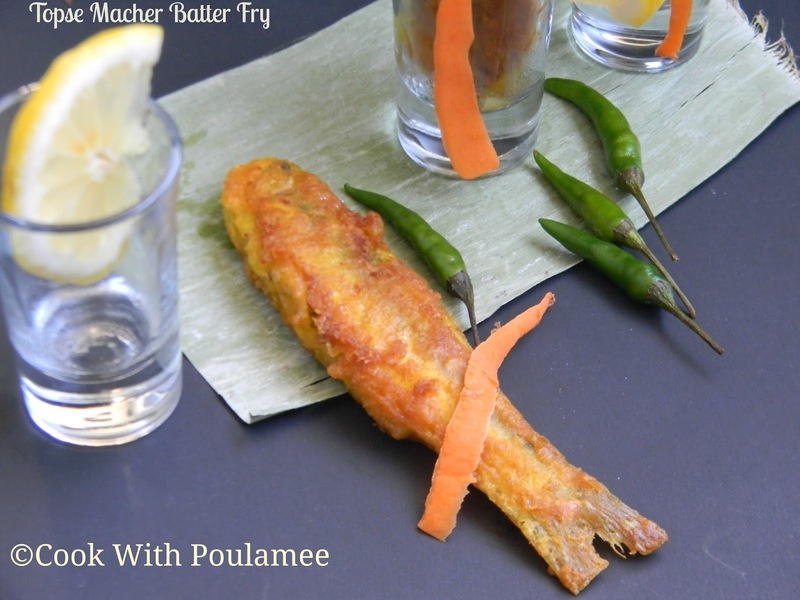 Your hot and crispy TOPSE MACHER BATTER FRY is ready serve hot with plain rice and dal. thank u so much Kamalika. Followed your recipe, the result was good. Loved what we cooked.